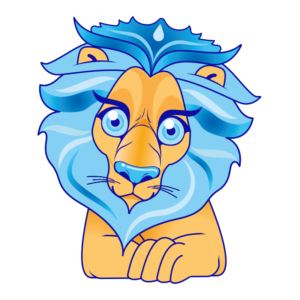 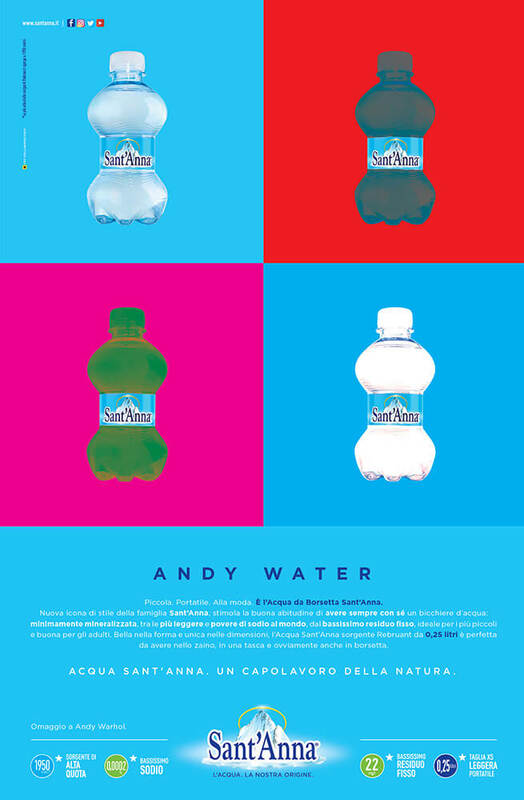 Let's talk about water, let's talk about values. 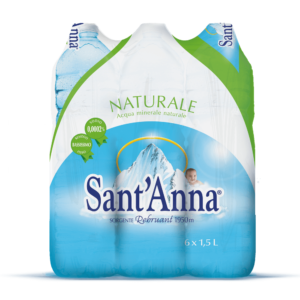 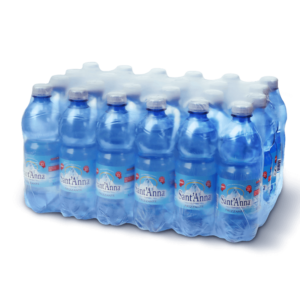 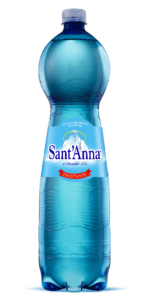 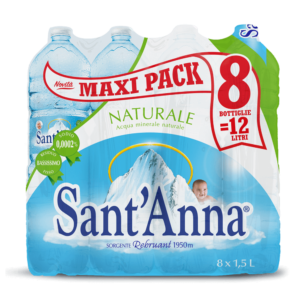 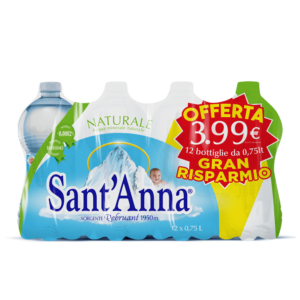 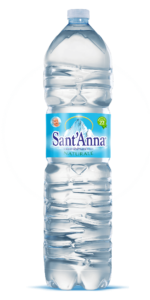 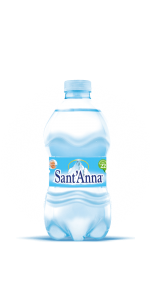 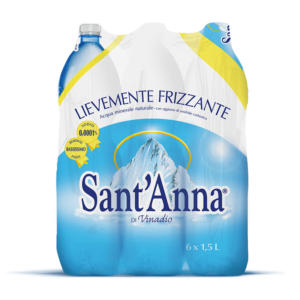 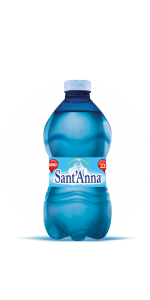 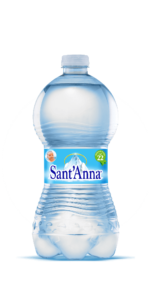 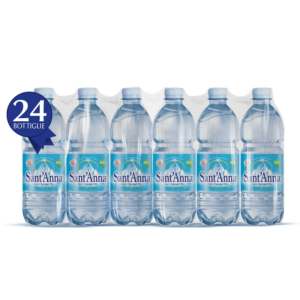 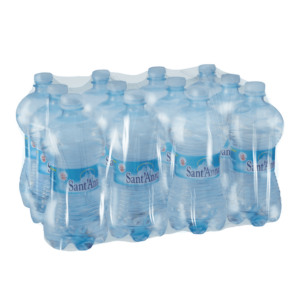 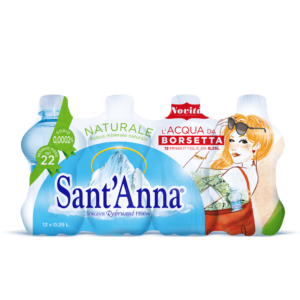 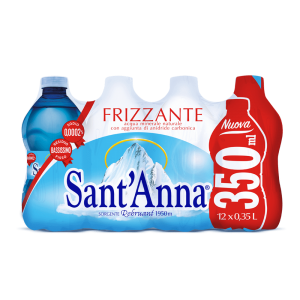 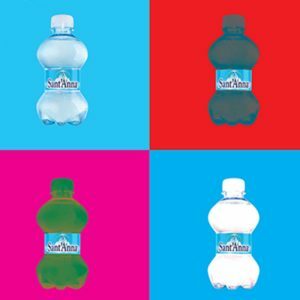 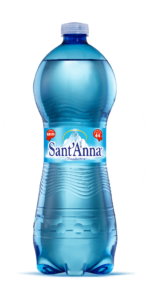 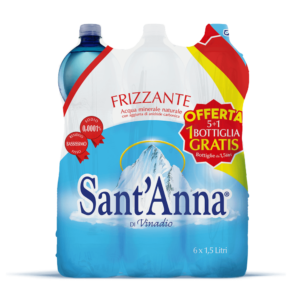 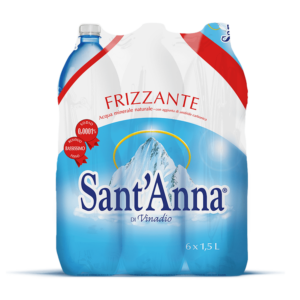 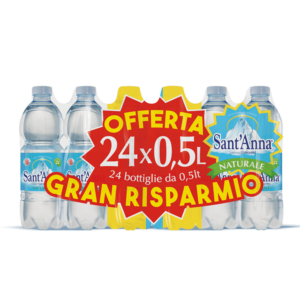 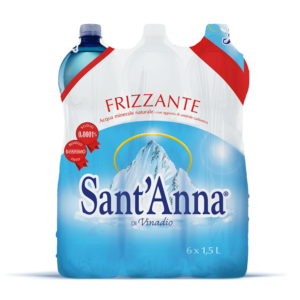 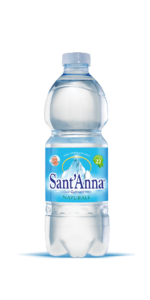 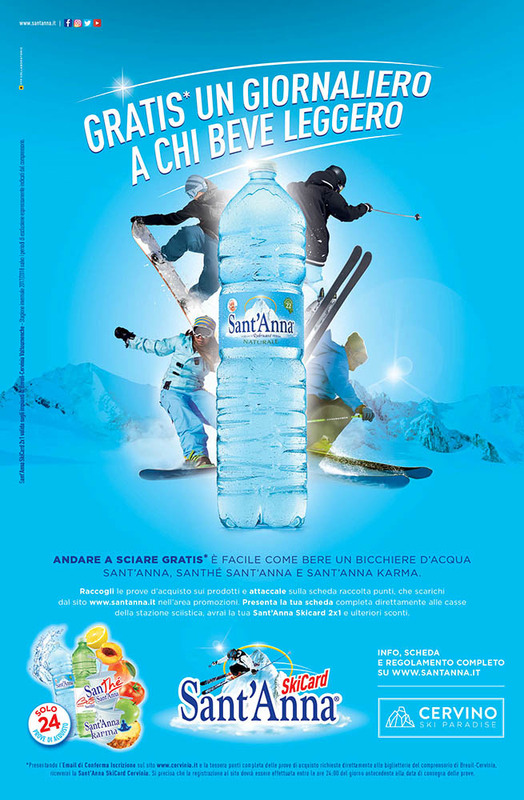 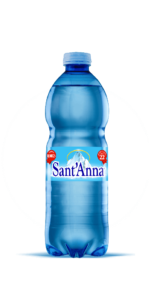 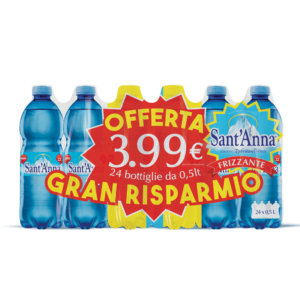 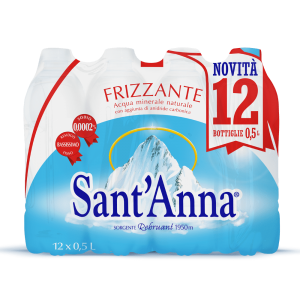 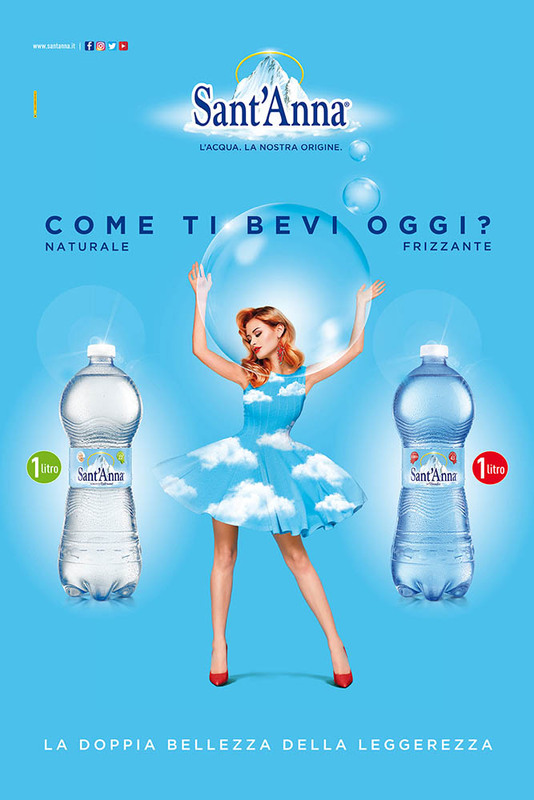 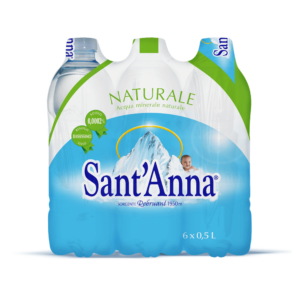 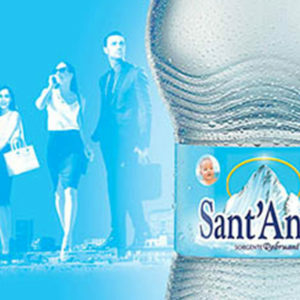 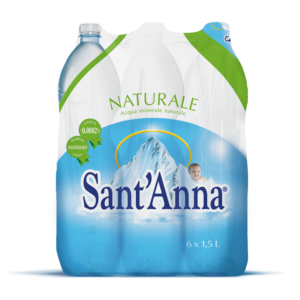 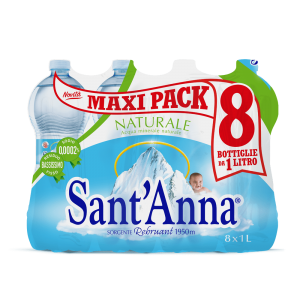 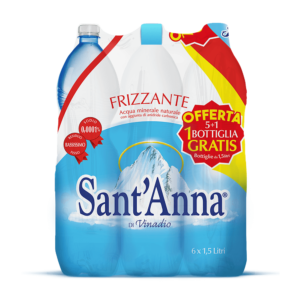 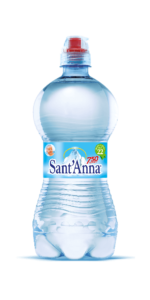 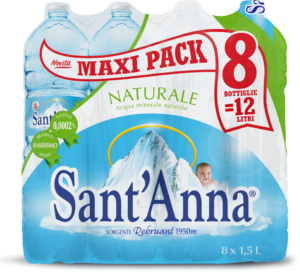 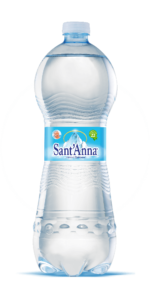 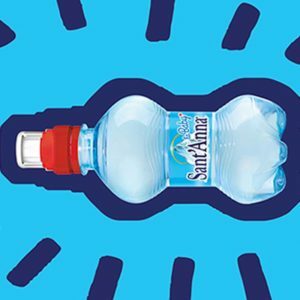 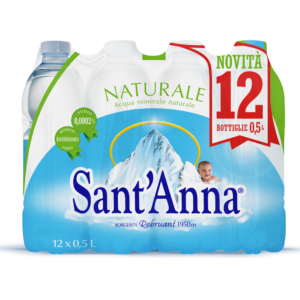 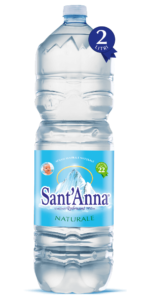 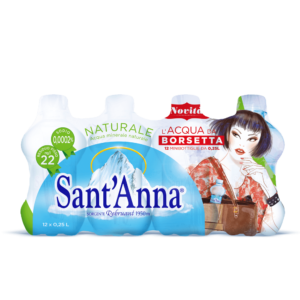 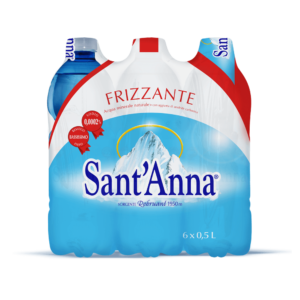 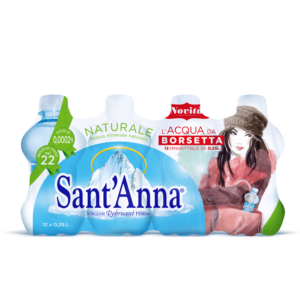 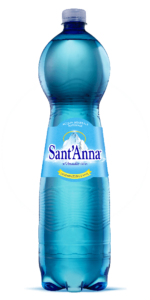 Sant’Anna Water is one of the highest, most uncontaminated, lightest and lowest sodium containing natural mineral waters in the world. 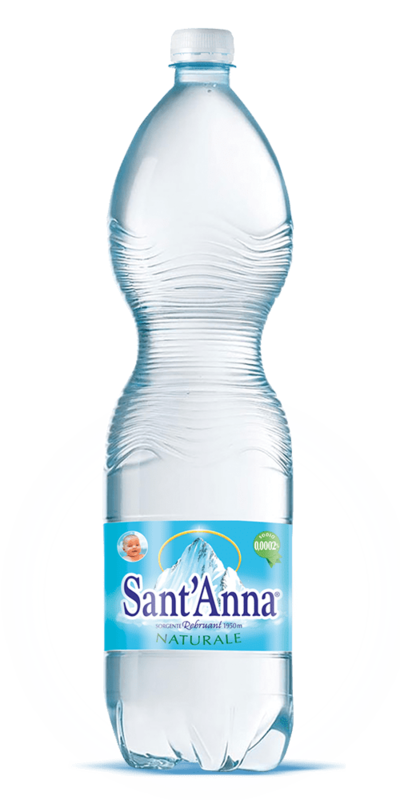 In less than 48 hours Sant’Anna Water arrives from circa 2000 alpine metres directly to our tables, fresh from the source, quality controlled and safeguarded. 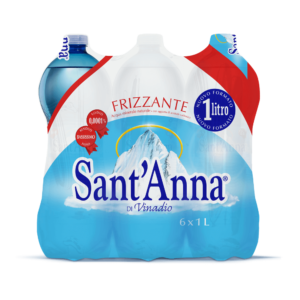 These and other values are why Italians have chosen it as their favourite water. 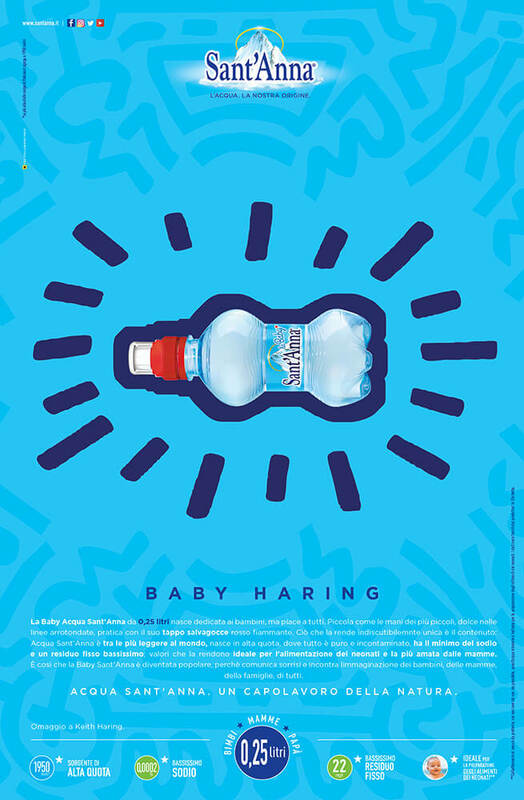 Its name is “Baby”; it is the little Sant’Anna bottle designed for children that mothers love most. 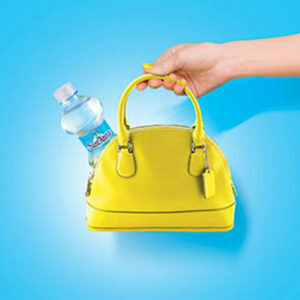 Light, with a practical push&pull cap, and now even a game! 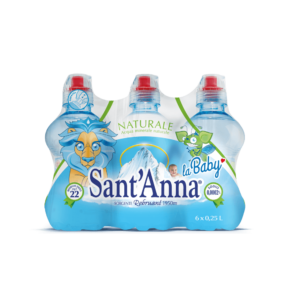 Cut out the original Sant’Anna Baby Friends puppies and watch them glow in the dark. 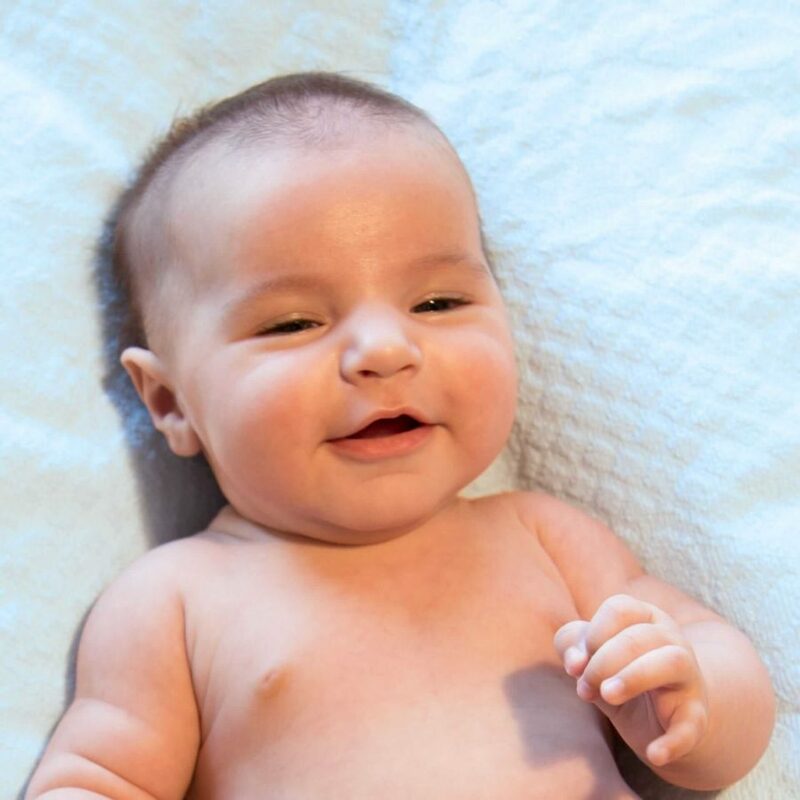 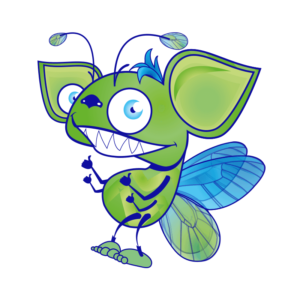 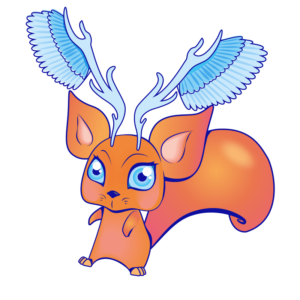 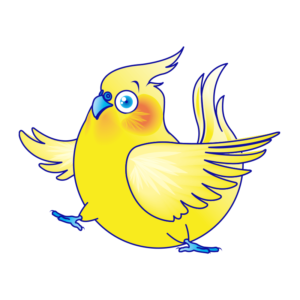 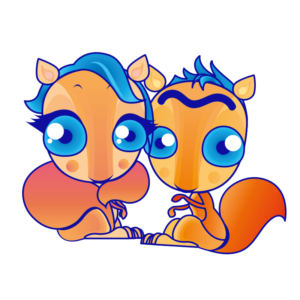 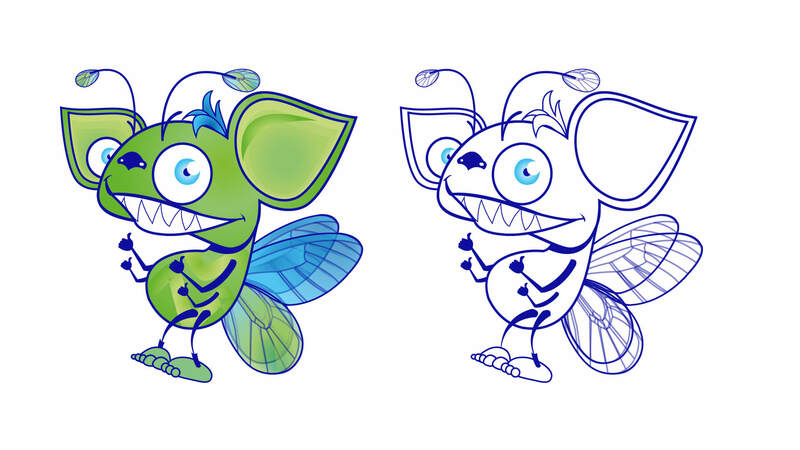 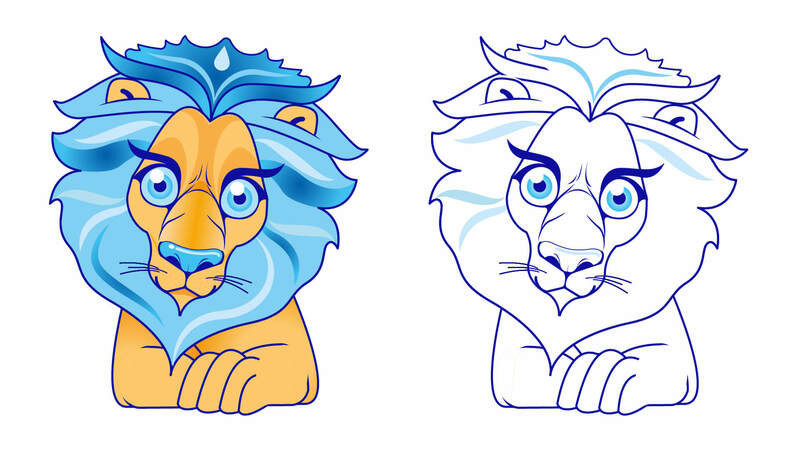 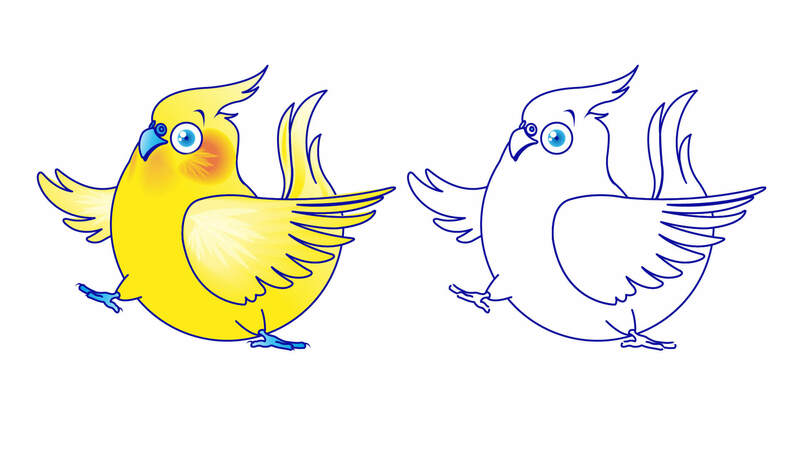 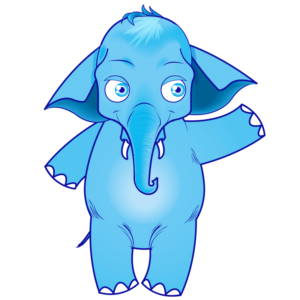 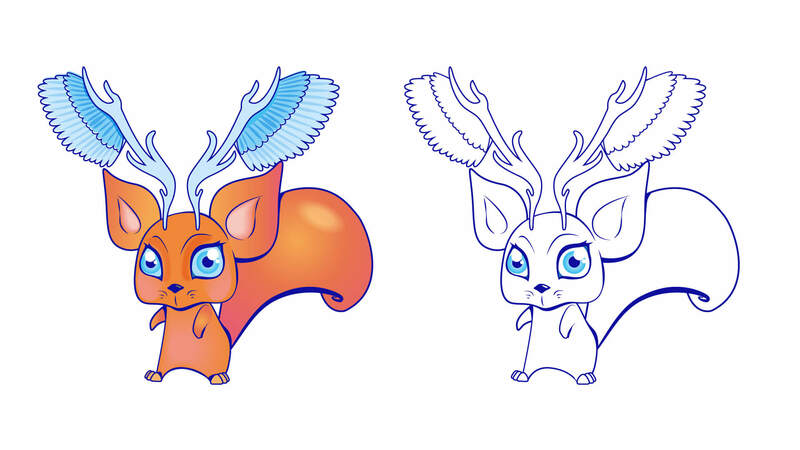 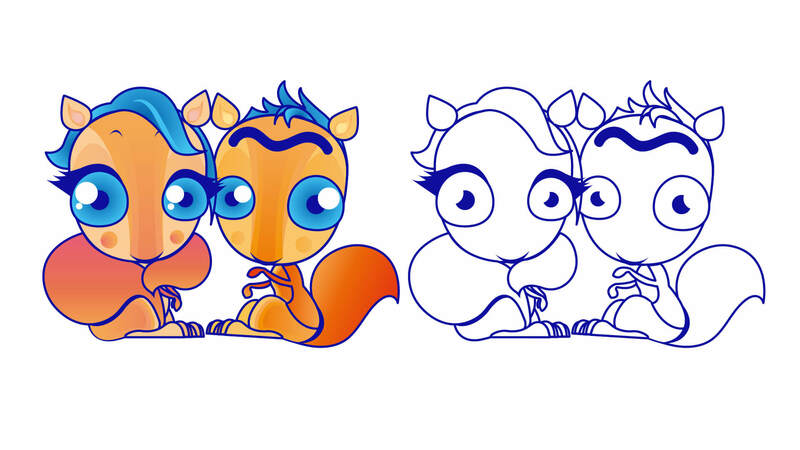 They will keep the little ones company throughout their calm and peaceful nights. 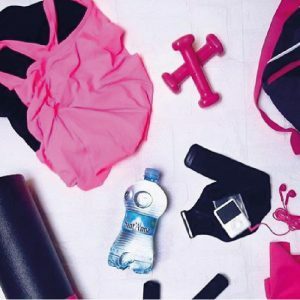 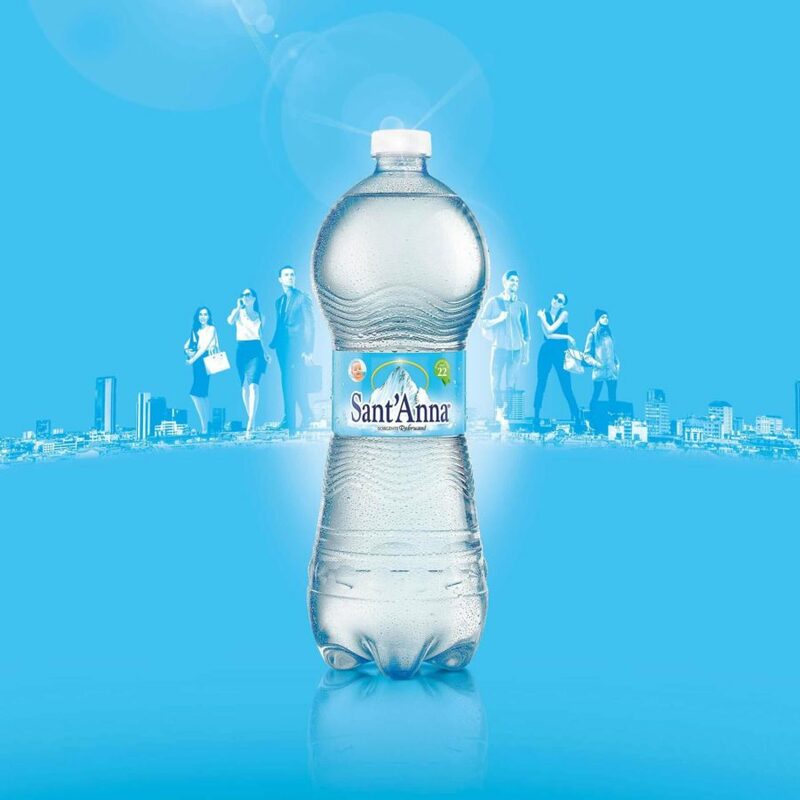 During the day it is important not to forget to drink water. 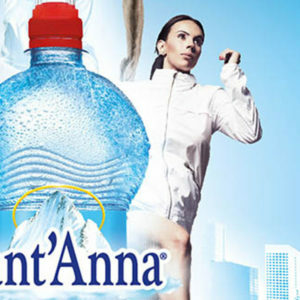 And if the water is good, it’s even better for you. 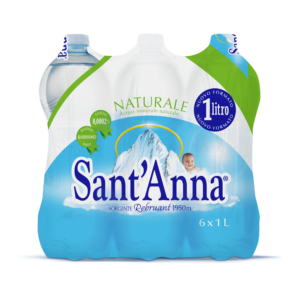 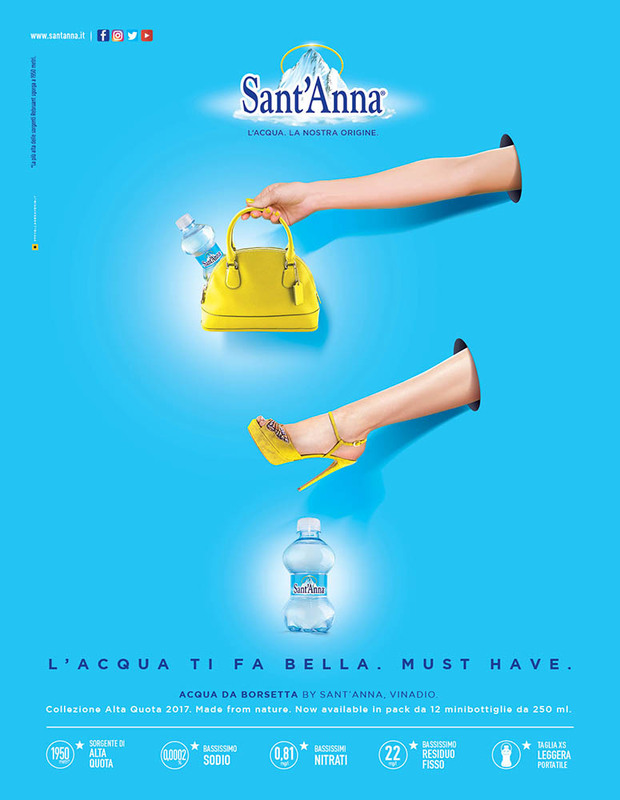 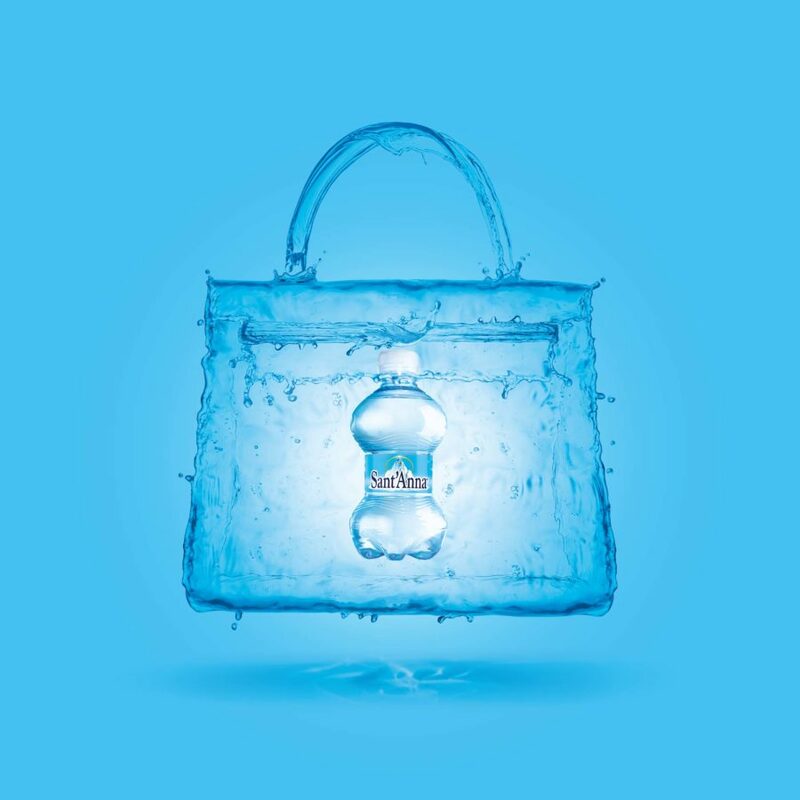 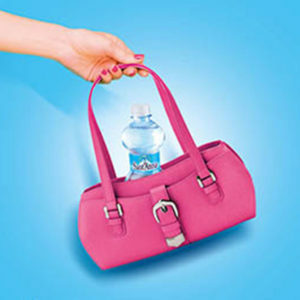 Sant’Anna Portable Water is made to be small and cartable. 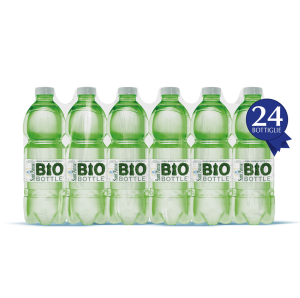 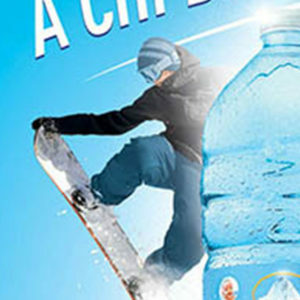 250 ml: it’s like always having a glass of pure, fresh mountain water with you, in your pocket, backpack, or purse. 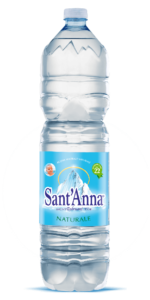 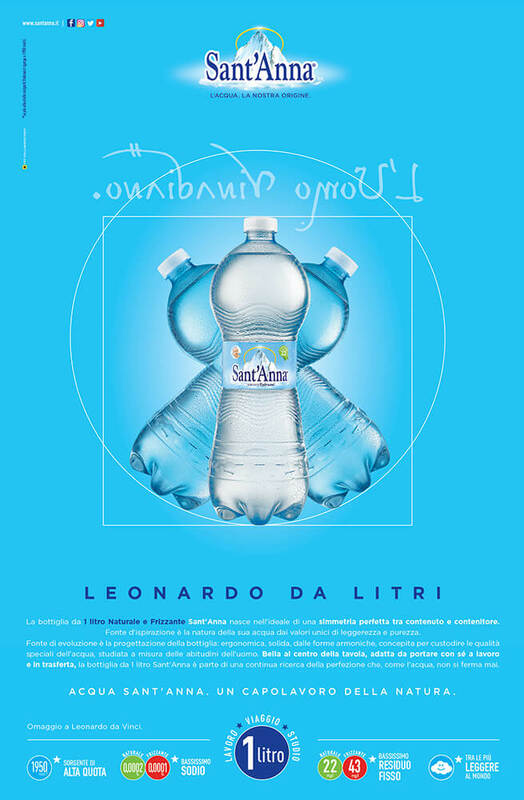 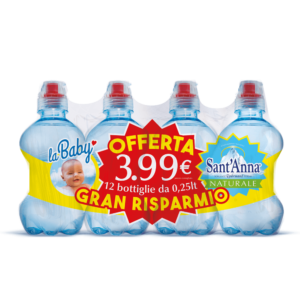 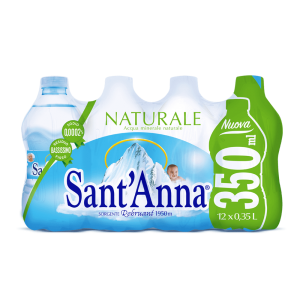 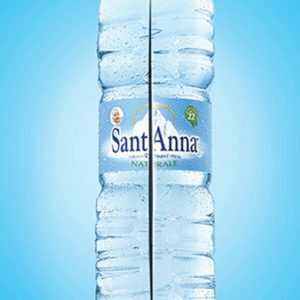 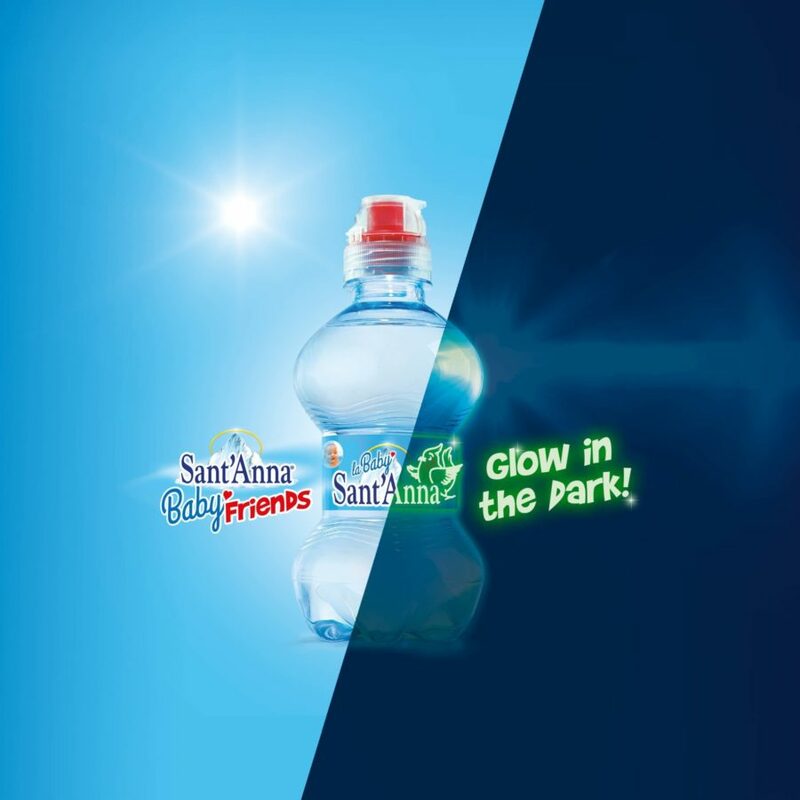 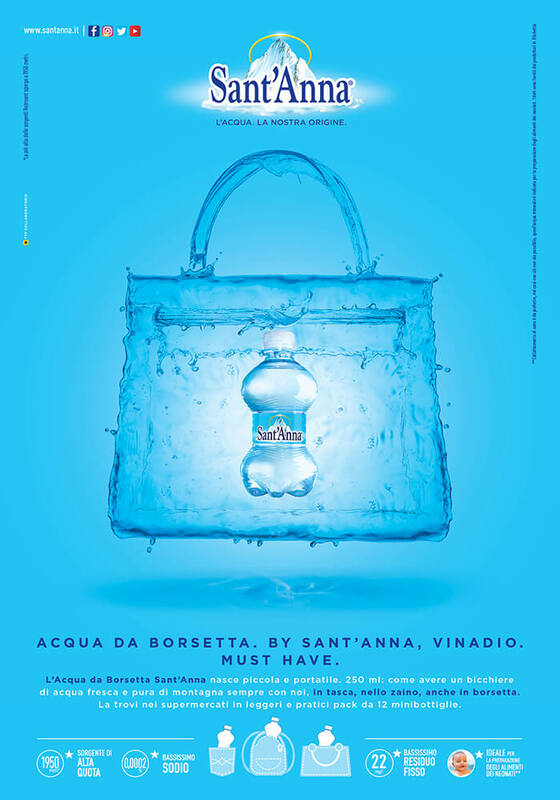 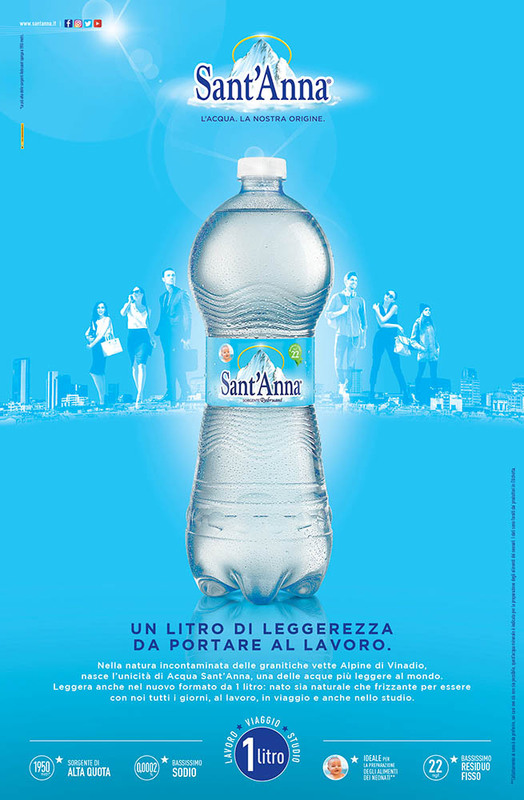 “Lightness ennobles work and also life.” Sant’Anna Water was conceived with this goal of being light in its 1 litre bottle. 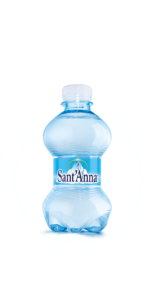 The ergonomic and practical design adapts to travelling and business trips; a civilizing touch during office hours and for decorating a centerpiece; still or sparkling, it satisfies every desire for everyday lightness. 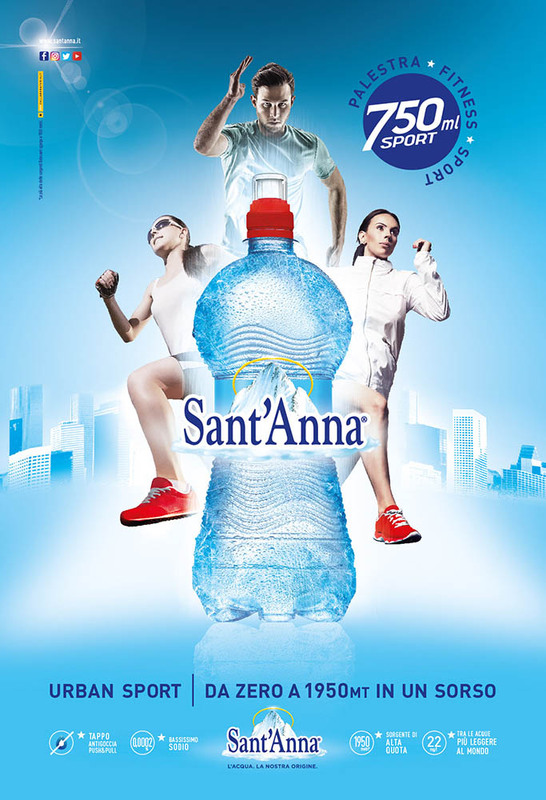 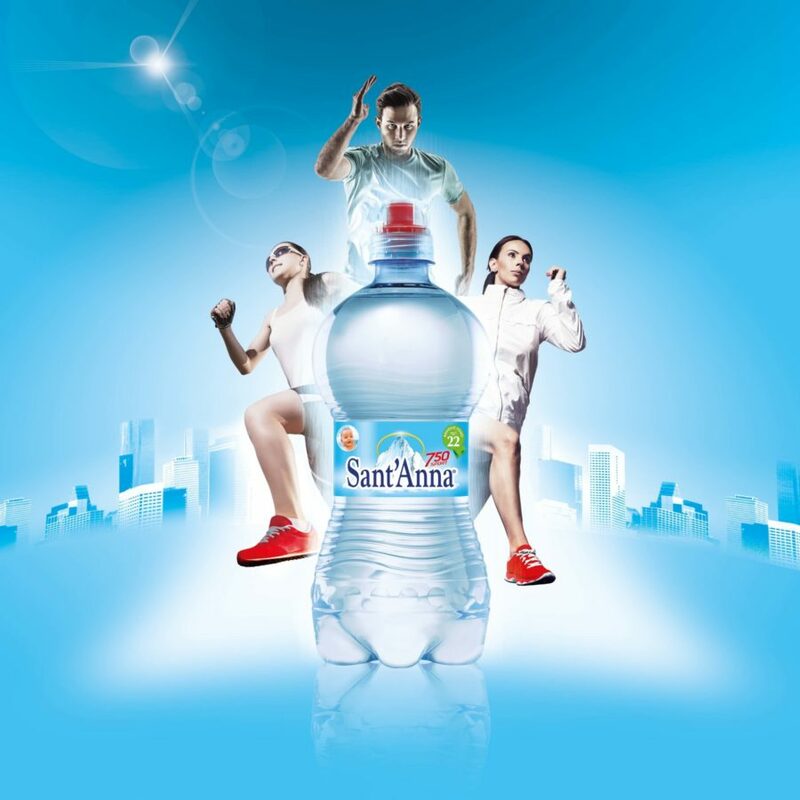 “From zero to 1950 metres in one sip.” This is the experience that Sant’Anna Water dedicates to those who love sports and staying in shape. 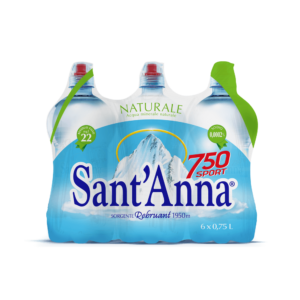 750 ml of fresh alpine spring values contained in a boldly curved format, designed for those who go to the gym or do outdoor sports. 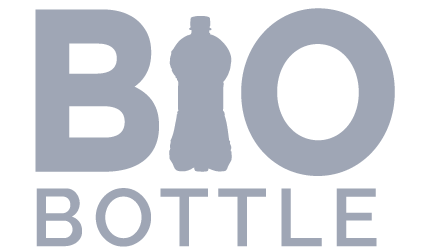 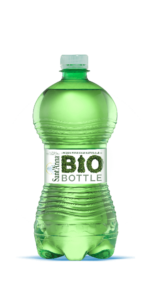 Bio bottle. 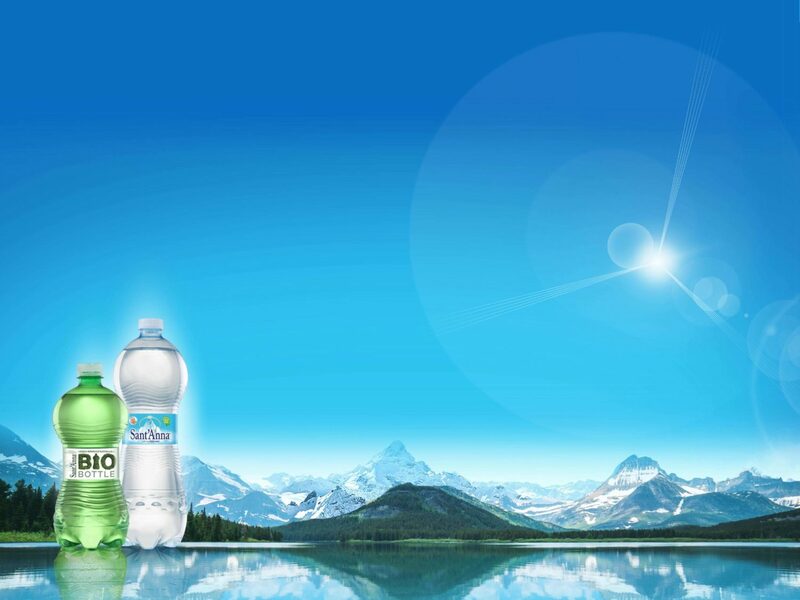 The most loved, also from nature. 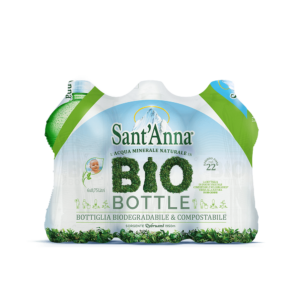 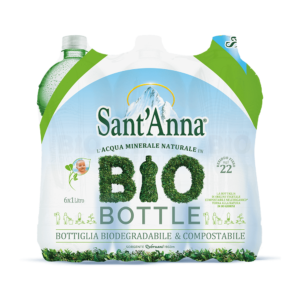 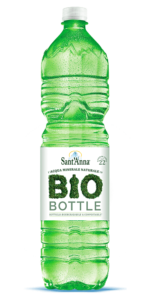 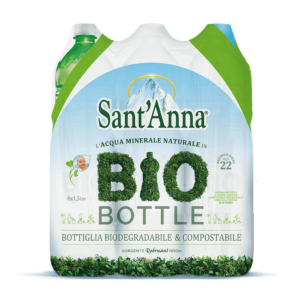 “Mother Water, in accordance with Mother Earth.” Sant’Anna has designed revolutionary green Bio Bottles: perfect containers of Sant’Anna Water quality, plus biodegradable and compostable in less than 80 days. 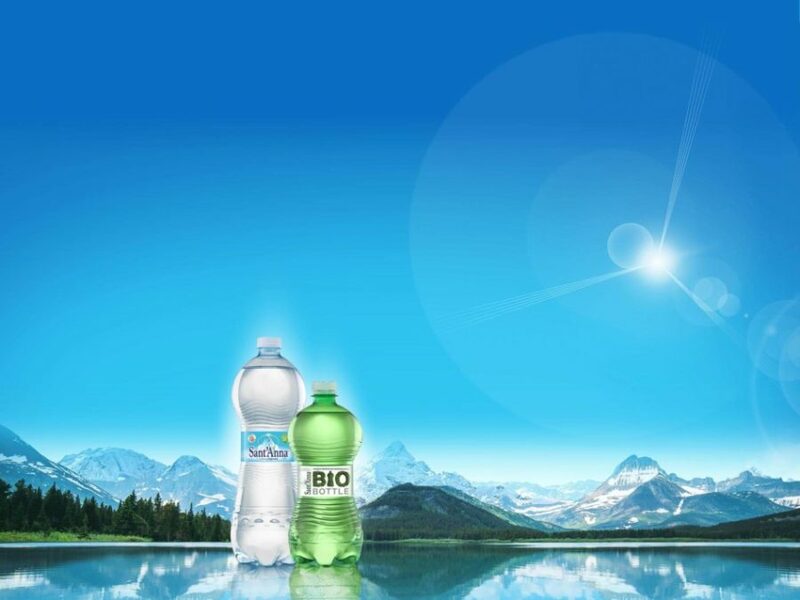 Because water is the origin of life. 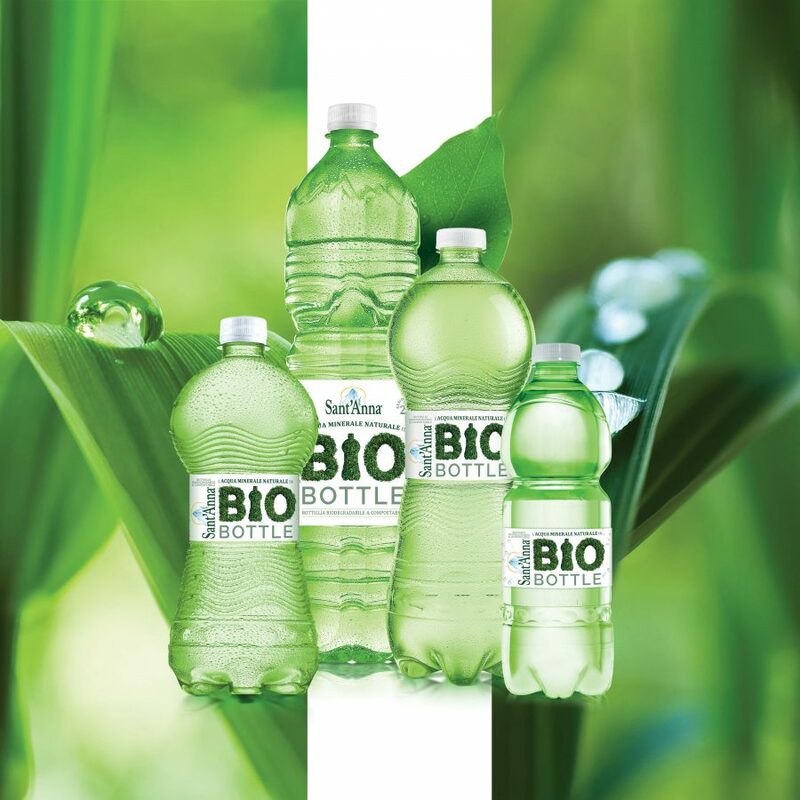 Because Bio is the future of life. 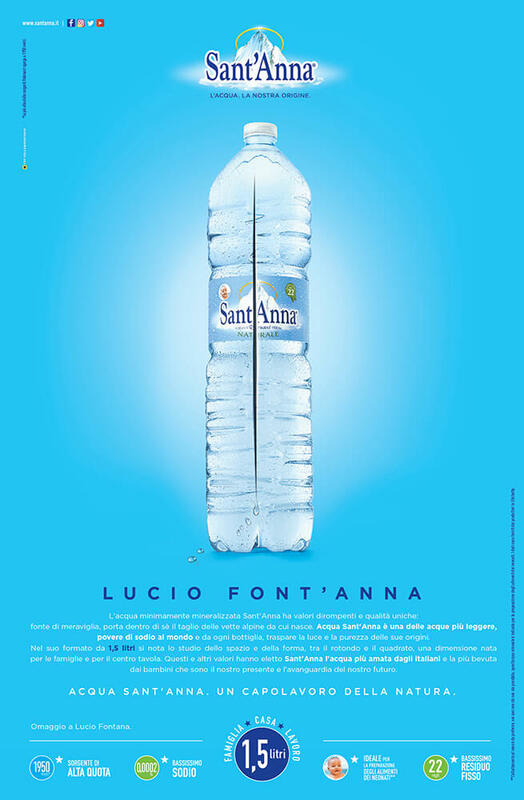 Our water is always with us. 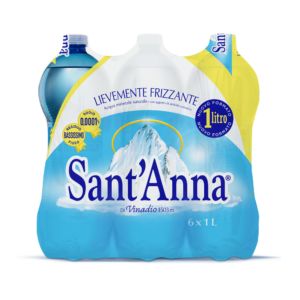 We drink it every day, it knows us, it’s family. 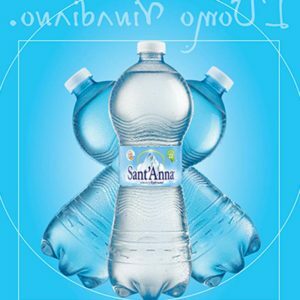 Sant’Anna listens to our needs and translates them into research about shapes and bottles which are practical, ergonomic, beautiful and bio, that always come along with us wherever we go.